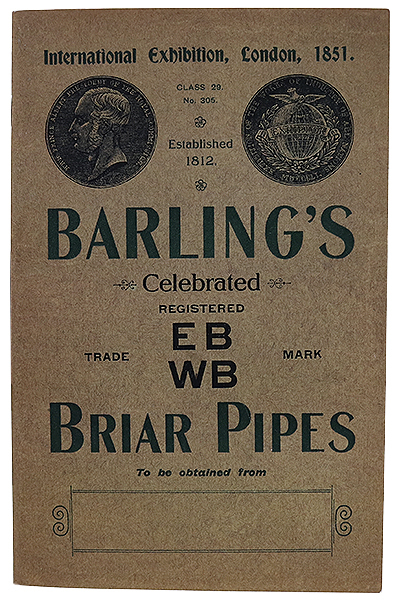 This neat booklet is essentially a detailed facsimile of an original Barling pipe catalog from the early 20th century, showcasing many of the marque's classic designs as they appeared in marketing materials from the era. In addition to those iconic shapes, you'll also find within the catalog seldom seen pieces such as the Captain Warren and special edition presentation cases. An excellent piece of history to add to your pipe smoking literature.